Flame-throwers, although volatile, were perfect for flushing stubborn defenders out of bunkers, while the pioneers were experienced with the explosives used to destroy cave openings. The bazookas were useful to help stop counterattacking Japanese tanks and could also be fired at other targets such as artillery pieces and field defences. 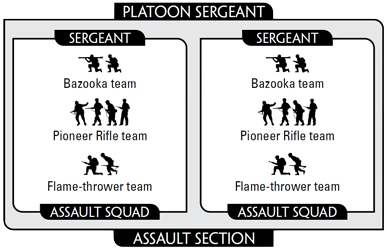 The Assault Section (page 14 of Gung-Ho) is a Weapons Platoon option, consisting of either one or two Assault Squads, each with a Bazooka team, a Pioneer Rifle team, and a Flame-thrower team. 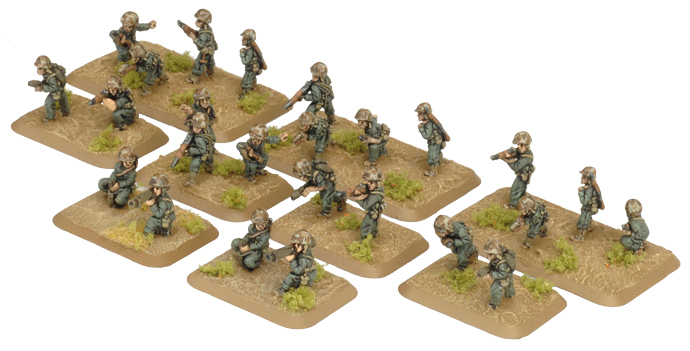 An Assault Section must make Combat Attachments to Marine Rifle Platoons with all of their Assault Squads. 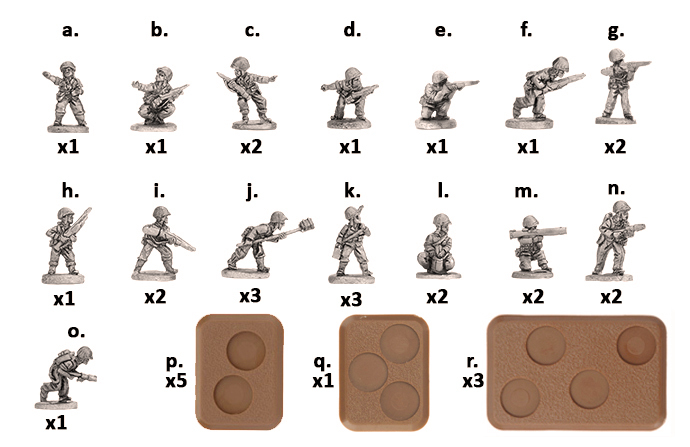 Teams may be distributed among any of the Marine Rifle Platoons in any numbers or attached to a single platoon (as an exception to the normal Combat Attachment rules on page 260 of the rulebook). 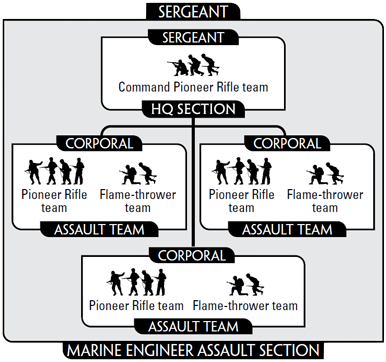 Alternatively, the Marine Engineer Assault Section (page 32 of Gung-Ho) is a Divisional Support Platoon option. It may still make Combat Attachments to Marine Rifle Platoons, or you may choose to field it as a separate platoon of its own. 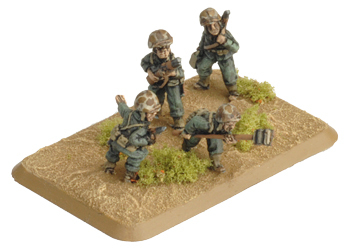 In addition to the Marine Battalion's Assault Platoon, other specialist combat engineers could be on call from the divisional engineer battalions, and before mid-1944 the engineer regiments. 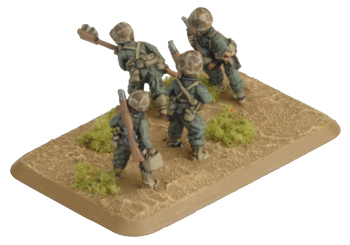 These troops were often allocated out to Marine rifle platoons to provide flame-thrower teams and explosives experts for use against Japanese bunkers, tunnels and fortified cave systems. Pioneer Rifle team 16"/40cm 1 2 6 Automatic rifles, Tank assault 3. 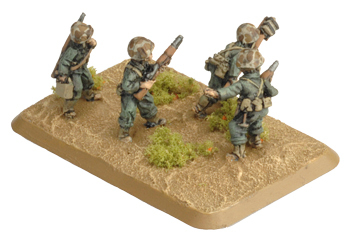 Flame-thrower team 4"/10cm 2 - 6 Flame-thrower. 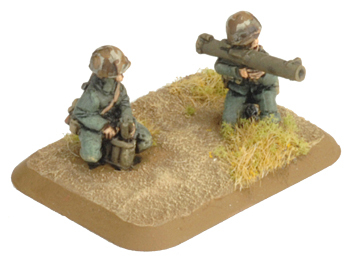 Bazooka team 8"/20cm 1 10 5+ Tank assault 4. Marine Engineer Assault Sections may make Combat Attachments to Marine Rifle Platoons. a. 1x Officer gesturing with right arm. c. 2x NCO gesturing with left arm. 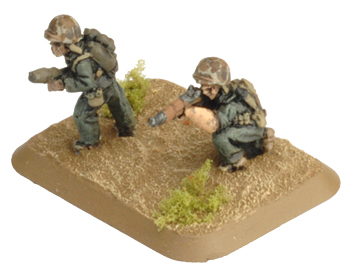 e. 1x Rifleman kneeling firing. 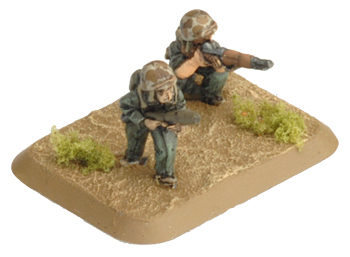 g. 2x Standing firing rifleman. i. 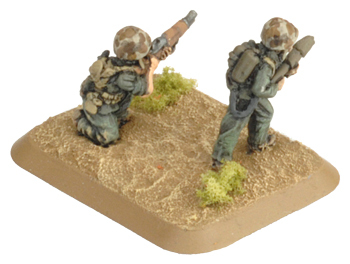 2x Rifleman standing. j. 3x Marine pioneer with pole charge. k. 3x Marine pioneer with satchel charge. 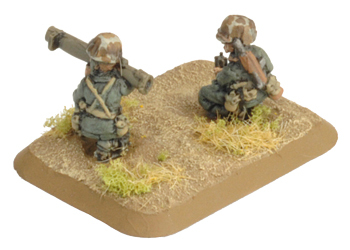 l. 2x Bazooka loader kneeling. 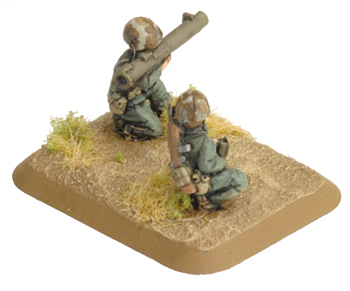 m. 2x Marine firing Bazooka. 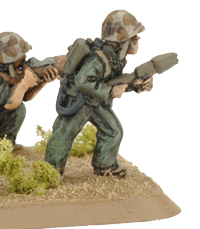 n. 2x Marine standing with flame-thrower. o. 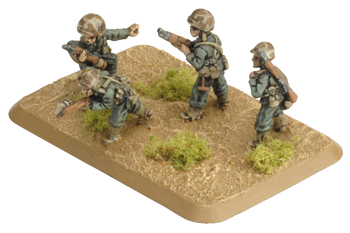 1x Marine advancing with flame-thrower. 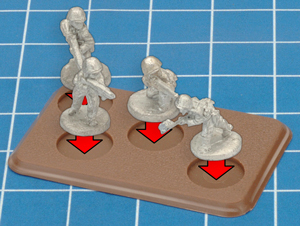 p. 5x Small Two-hole Bases. q. 1x Small Three-hole Base. r. 3x Medium Four-hole Base. 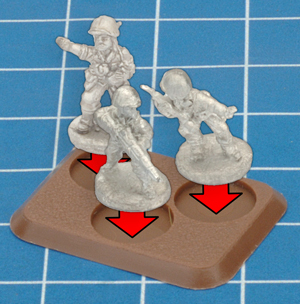 Place the officer (a), an NCO (b,c or d) and a rifleman (e – i) on a small three-hole base. 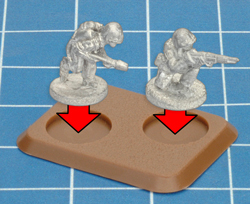 Each Flame-thrower team has a Flame-thrower operator (n, o) and a rifleman (e – i) on a small two-hole base. 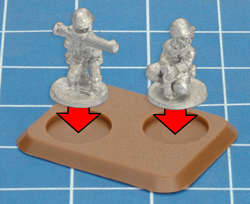 Each Bazooka team has a Bazooka loader (l) and gunner (m) on a small two-hole base.